On November 30, 1976, more than sixteen thousand boxing fans packed the Spectrum to see South Philly Southpaw Tyrone Everett take his shot at a world championship. What they saw that night was an impressive showing by the hometown sensation who by most accounts won at least 10 of the 15 rounds. Everett outfought Escalera throughout the bout, but his only flaw as a fighter - a tendency to be over cautious - came into play and wound up costing him dearly. Everett's failure to stop Escalera when he had the chance, opened the door for the champion. As it turned out, being around for the final bell was all that Alfredo Escalera needed. In one of the worst decisions in boxing history, the judges awarded Escalera a highly dubious, split decision victory. Tom Cushman of the Daily News said "Tyrone Everett won the junior lightweight championship of the world last night. Won it with a whirling, artistic, courageous performance that brushed against the edges of brilliance. Tyrone was standing tall, proud, bleeding in his corner after the 15 rounds, waiting for the championship belt to be draped around his waist, when they snatched it from him. Picked him so clean it's a wonder they didn't take his shoes and trunks along with everything else." It was Escalera's seventh title defense. 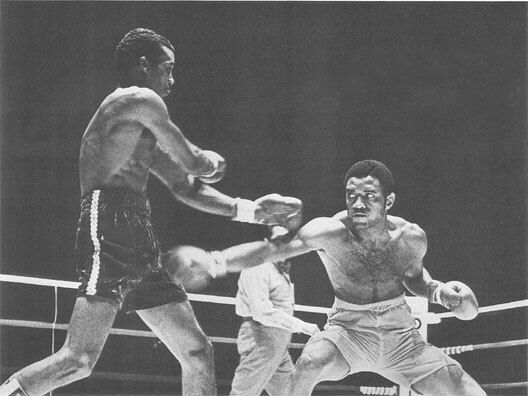 He would go on to make three more successful defenses before losing his title to Alexis Arguello in 1978. The defeat was Everett's first in 35 fights. He took the loss in stride, knowing in his heart that he would be sure to take the championship as soon as he got another chance, but that title chance never came. Six months after the Escalera bout, after two subsequent fights and with negotiations for a rematch underway, Tyrone Everett was shot and killed by his girlfriend in South Philadelphia. Everett, who had the potential to perhaps become the best Philly fighter ever, was only 24 when he died on May 26, 1977. The title fight between Alfredo Escalera and Tyrone Everett still holds the record for the highest attendance in a Pennsylvania indoor boxing match (16,109). On Nov. 30, 1977, Reggie Jones, a 1972 US Olympian & NJ state champ, took a 10-4-1 pro record & vast amateur experience into an 8-round hometown bout against a "safe" opponent from South Philly with an unimpressive 1-3 record and no amateur pedigree to speak of. But club fighter Johnny Martino came to Newark to fight and to prove that he was better than the story his ragged ring experience seemed to tell. Every fighter dreams of a perfect night in the ring & for Johnny, this was it. As he entered the ring, the theme song from the movie "Rocky" played over the loud speaker. 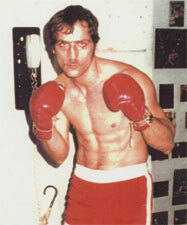 Although he only had two fights as an amateur and four as a pro, Martino did not fear his more seasoned foe who had been 10 and 12 rounds in the past. "I hadn't fought in three and a half years. I wasn't afraid of Jones, I was afraid of going eight rounds. I had never even been past four." Seemingly out of his league against Jones, Martino made the fight an all-action brawl which brought the NJ crowd to their feet and had them cheering for the Philadelphian. He took the 8-round distance in stride and fought the fight of his life. "I was Rocky for one night", Martino said. But alas, the decision went the wrong way. An expected rematch was dodged by Jones and never materialized. Such is boxing, and such is Nov. 30, the day of bad decisions.